Are you planning for a vacation in India? Do you wish to stay in the luxury resorts to make your stay unforgettable? Well, you have reached the right destination. Here, you will find the top ten 7-star and 5-star resorts in India. All these resorts have unique and special aspects so that it stands out from the huge crowd in the country. Each renders you a different experience, which you will never forget in your lifetime. 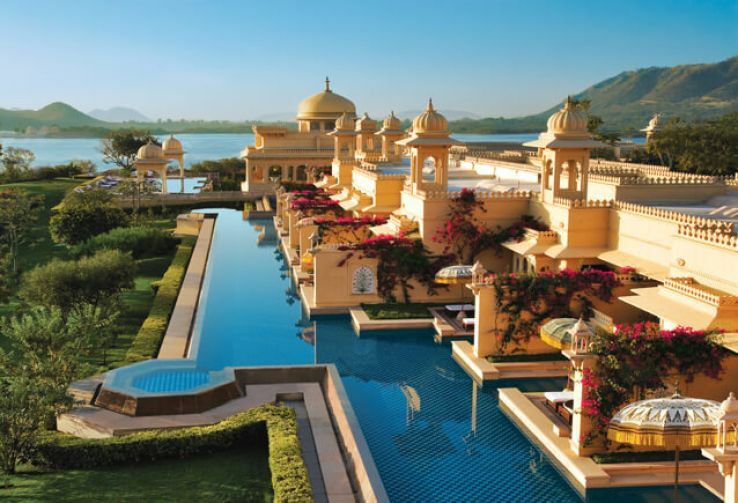 Oberoi Udaivilas is the beautiful resort located in Udaipur, Rajasthan is, which offers a traditional Rajasthani style accommodation with awesome amenities. It is perfect for nature lovers, honeymooners, and art lovers. This oldest yet luxurious hotel in India is the most favored luxury resorts among the tourists who visit Mumbai often for business trips and holidays. It gives a chance to relish true grandeur with the blend of old-world charm and modern amenities. It is ranked as the best leisure resort in Goa and won many awards. It is perfect for family travelers and beach vacation. Here, you will get unique experience by participating in sunset cruise, scuba diving, and other beach-based activities. This grand heritage resort situated within the majestic Himalayan ranges, which symbolizes the colonial history of the Shimla. Guests can opt for a deluxe suite, deluxe room, and luxury suite to get a romantic and mesmerizing view of the snow-capped peaks from the windows. Enjoy a luxurious stay at this high-end resort, which stated as one of the world’s luxurious holiday destination by BBC. 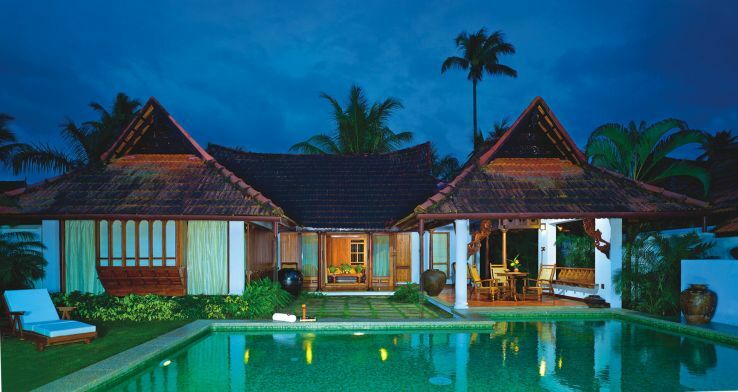 It helps you to enjoy both Kerala’s traditional architecture and modern contemporary luxuries and comfort. This stunning resort nestled amongst the great Himalayas amidst the natural beauty of Gulmarg. It is situated much closer to the highest ski lift in the world, Gulmarg Gondola. During winter, the resort is covered with snow and therefore it offers incredible stay. Enjoy the thrill of living on the beautiful tree with this resort in Jaipur. This stunning resort combines the modern comfort amidst stunning pristineness of the jungle all around. Guests take part in the resort spa and aviary shop for fine relaxation. One of the best reasons to stay at this resort is that it is extremely convenient. This destination is ideal for people who wish to spend some good time by enjoying comfort and pure luxury. It renders all sorts of luxury amenities to enjoy the stay to the core. This resort gives mesmerizing sights, which will make your trip worthwhile. It renders an excellent view of the Shore temple from the balcony. You will also enjoy spectacular views of the beach. Note: The resort price mentioned here is the average rate, which will differ according to the room you select and season in which you go there.